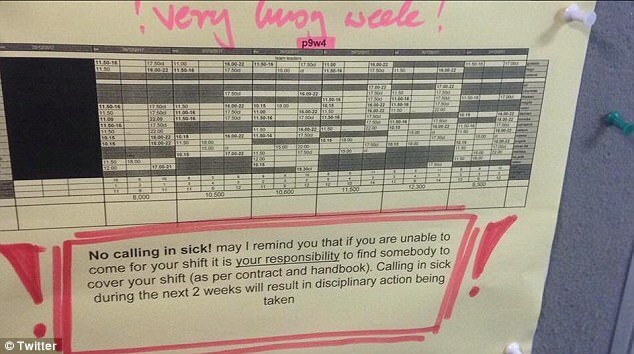 Wagamama bosses have come under fire for threatening to punish staff if they take sick leave over Christmas and New Year. Critics have vowed never to eat at the noodle restaurant, whose chiefs issued a grovelling apology after the picture was circulated online. 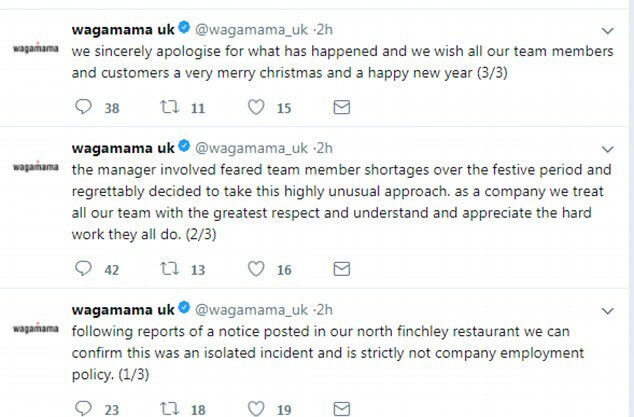 A Wagamama spokesman said: 'Following reports of a notice posted in our North Finchley restaurant we can confirm this was an isolated incident and is strictly not company employment policy. 'The manager involved feared team member shortages over the festive period and regrettably decided to take this highly unusual approach. 'As a company we treat all our team with the greatest respect and understand and appreciate the hard work they all do. The Unite Hospitality union leaked the picture after a member of staff in London sent it to a representative in Glasgow. In a statement, they said: 'It may be a shocking example but it's sadly quite normal across the industry - particularly at this time of year. 'This is why we need to come together in a union to stop such exploitation. 'Fair Hospitality was created for that very purpose. A number of critics have come out to condemn the manager's intimidating note and urge people to boycott the restaurant chain. One, going under the name Zeyn Mo on Twitter, said: 'Looks like I won't be eating at Wagamama and would encourage everyone to do the same. Jonty Leibowitz ‏ said: 'This Christmas, boycott Wagamama. Encourage your friends to join a trade union. Politicians waded into the debate too with Scottish Labour and Co-op MP for Rutherglen and Hamilton West Ged Killen saying the company's top bosses were to blame. 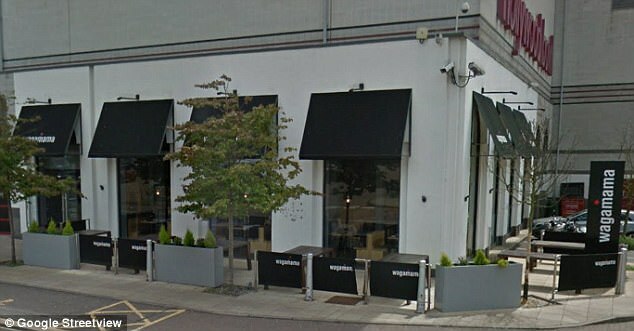 Initially, it was thought the branch was in Glasgow, which prompted Hugh Gaffney MP to take to Twitter wit his outrage. 'Was this Glasgow?' he wrote. 'If so, I would like to take this up. It’s incredible that in 2017 Big companies think they can get away with this. 'I will be writing to management asking for an explanation. Steven Milloy angrily took to Facebook to vent and said: 'B****y disgusting. 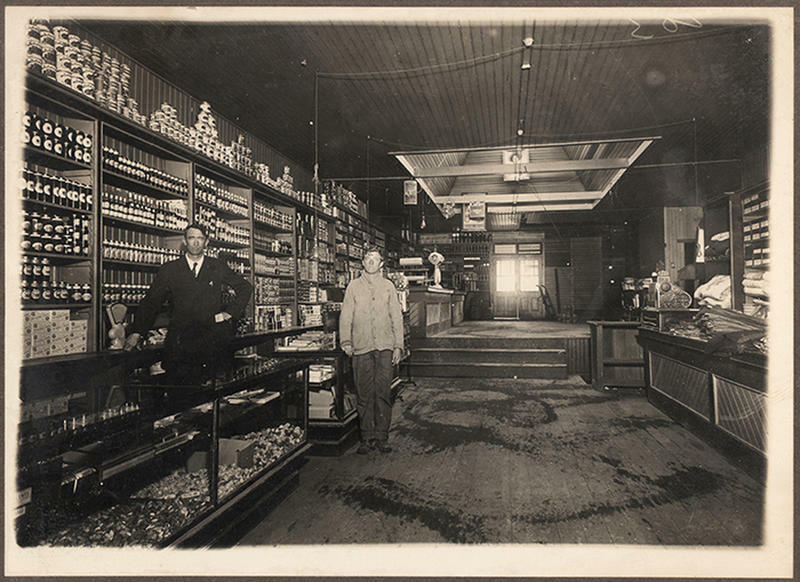 'They'd rather people come in with an illness, potentially a contagious illness, and serve food and drink. Employment law experts unsurprisingly took the side of the workers and joined the Wagamama walkout. Ellie Cumbo, who is hoping to run as a Labour councillor in May, called the move 'totally unethical and unacceptable'. 'I'll be getting my noodles elsewhere until Wagamama brings its employment practices up to date,' she said. Another fledgling politician Ross Greer, who is Scotland's youngest MSP, joined the herd in boycotting the chain. 'That's the end of my custom with Wagamama. Treat your staff with some respect,' he said. Lex Croucher, who has 99,000 followers on Twitter for her work presenting the Make Out With Him podcast, also spoke out on the issue. She said: 'I’m a huge fan of Wagamama but this is awful. it’s not “highly unusual”, it’s illegal.